Did you know that aligning your sales and marketing efforts is critical to increasing leads and boosting revenue? To be effective in today’s ever-evolving connected world, sales and marketing departments must also evolve. So in this guide, we’re going to help you overcome the challenges around effective marketing and sales alignment. Remember, if you aren’t aligning these departments, be assured your competition is embracing the new paradigm and already creating a plan to win. Why is Sales and Marketing Alignment so Important? Customer behaviour has changed. It’s harder than ever to acquire new customers, as well as retain existing ones. If you don’t catch up, you risk being left behind. Thanks to the internet, people are armed with knowledge and insight—before they even contact you. They’re searching and comparing. They’re distracted by the explosion of digital content that they need to sort through. And the digital space continues to grow. Sales needs to shift to a “service and close” mindset, focusing only on people who have expressed an interest in being contacted. Let’s dive into exactly how you can do that. Setting SMART goals ensures your teams are focused, operating effectively, and motivated to achieve their objectives. If you don’t create goals, you won’t know what to shoot for. And without SMART goals, it will be impossible to align your marketing and sales departments. So keep reading to learn exactly how to set effective goals. First, identify how much revenue you need to generate in a set period (usually on a quarterly basis). Design the other objectives to serve this number. Determine the number of leads, marketing-qualified leads, and sales-qualified leads you need to meet your revenue goal. Use your current close data to help you determine this. You can then create website traffic goals to help you generate the number of leads you need. Assign specific responsibilities to marketing and sales teams, to progress people through the marketing and business development pipeline. It's essential that both the sales and marketing teams understand exactly who their ideal customer is. In knowing your ideal customer, marketing teams will understand their needs so they can create content to address these needs, and reach prospects through the channels they use. Sales team can better qualify sales leads by focusing only on those that are likely to close. So how exactly can you define your ideal customer? By building out buyer personas. And what is a buyer persona? A composite, fictional character based on real customers. Develop three personas for your business, then choose one who you think will be the most profitable to target first. You’ll also want to determine the ideal size of company you want to do business with. Now, developing buyer personas can be challenging. If you’d like some guidance, reach out to us. Research from Cintell tells us that organizations that include details about a persona’s drivers and motivators are most likely to exceed their sales goals. This is a very effective way to learn who your buyer personas are - because they’re people who already buy from you! Talk to clients in person if possible, or through software like Google Hangouts. Speak to as many as possible, so you can see trends in their answers. Using a tool like Hubspot or Buzzsumo you can “listen” on Twitter, and learn about topics and sentiments that are current in your industry. On social media, search for your industry’s most popular keywords, and monitor conversations around those keywords. Join LinkedIn groups relevant to your industry, and keep active in them. Take note of trends, issues and concerns. Your sales team has a wealth of information on what makes a promising prospect, lead, and customer. They know the most common buyer objections at each point in the sales process. Sales should share insights with marketing, including writing customer insight briefs following each sales meeting. For example, “This is what our customer said about our product, about our competition, and why they buy from us.” Marketing should absolutely take this information seriously - and use it in marketing plans going forward. 4. Check Google Analytics data and/or HubSpot lead intelligence. Google Analytics has lots of information about your website visitors, including demographics, location, language, and interests. It will tell you which of your pages earn the most views - so can you identify your most popular content. what gated content they download. This can give you invaluable insights into the types of content and topics that your prospects most engage with. Compile your data and use it to build out a story for each persona. Nail down how you’ll describe your solution to each persona. Remember: once is never enough! Continue to redefine your personas as you learn more about your customers. A CRM like Hubspot is a cornerstone tool for aligning sales and marketing strategies, but only if it’s used to its full potential. Ensure that sales and marketing teams are trained in your CRM software and are integrating it into their daily operations. So what are some of the ways a CRM can work for you? Save and track leads: The CRM tracks new and existing leads, so you can monitor how leads are engaging with your online content. You should set up email alerts every time a new lead is generated from your website. Using that targeting, you can create automated email sequences that nurture leads through the sales funnel. Your sales team won’t need to step in until leads are already at the bottom of the funnel. CRM data also provides valuable data on your leads’ interests, behaviour, and preferences. This data should drive content and email marketing strategies, as well as provide essential information to your sales team. But to develop content that works, you need to nail down your content strategy. It’s not about just starting a blog and writing about the first thing that comes to your mind—that approach simply doesn’t work. This is where a content mapping strategy becomes essential. With content mapping, you’ll ensure you understand your prospective customer’s needs and address them strategically. So what is content mapping and how does it work? Identifying the stage of the buyer’s journey (i.e. the sales funnel) for each of your buyer personas. Providing valuable content to meet the needs of each persona at each stage. Awareness - they realize they have a problem or need. Consideration - they define their problem and begin researching solutions. Decision - they choose a solution (and convert into a buyer). Here’s a breakdown of how to start mapping content for your business. Include the sales team in the content approval cycle, to be sure that you have content for each persona at each point of the cycle. When content is developed, align your marketing and sales channels. Once content is published, inform everyone—marketing and sales—to be sure both teams take advantage of it. If sales and marketing departments aren’t working together, sales may have no idea what content is being published. This means they may lose key opportunities to share content with prospects, and to suggest improvements. The best way to keep both departments communicating about content is to create a shared content calendar, and meet regularly to discuss progress and new insights. Great content can boost website visitors—but if you aren’t converting them into leads, you’re missing out on potential buyers. You need a strategy to turn those visitors into leads! So how exactly can you do that? 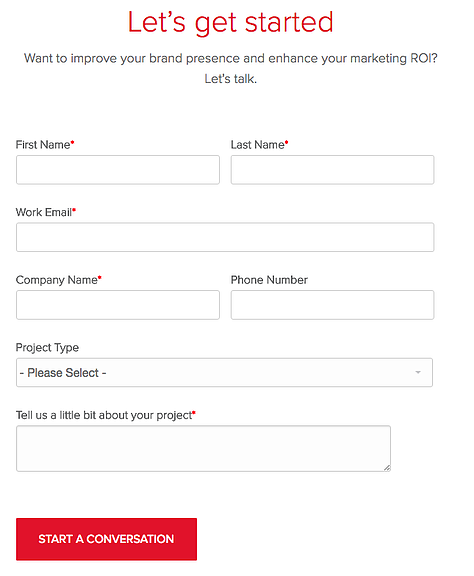 To generate leads, you need to ask your visitors for personal information via a form on your website. People are very hesitant to give up their contact information easily. So make sure the content you give them in exchange is high-value and really speaks to their challenges. When you’re planning your forms, consult with the sales team. Find out what information they need to know to qualify a lead. 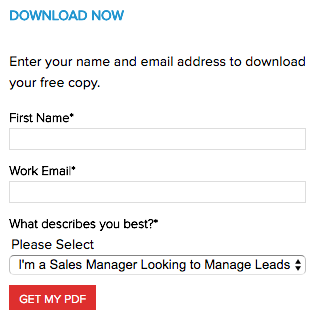 Want to generate more qualified leads with less effort? Then keep reading. If account managers are chasing after every lead that comes in, they’ll waste time, and ultimately, money. That’s why having a lead qualifying structure embedded into your pipeline metrics is essential. It helps sales know which leads are most likely to convert into customers. When sales and marketing are aligned, the marketing system helps sales by identifying the most likely prospects. Sales spends more time nurturing and closing the relationship, and less time on early (top of the funnel) leads. A much higher close ratio. Your company’s definition of a marketing qualified lead (MQL) will be unique to your market. For an effective system, sales and marketing must work together to define an MQL. Has filled out a form on a “bottom of the funnel action” like, downloading a buyer’s guide, or requesting a quote. The definitions of MQL and SQL should be available in a spreadsheet that sales and marketing have access to. The CRM should be used to manage the status of every contact and lead. Having closed loop reporting is the only way you can effectively measure the success of your marketing and sales teams. It helps marketing teams prove the effectiveness of their chosen strategies. And it also helps identify exactly which areas to improve. Closed loop reporting provides clear, transparent data that both teams can use to keep momentum going. There’s really nothing better than setting a goal, and then achieving, or even surpassing it. 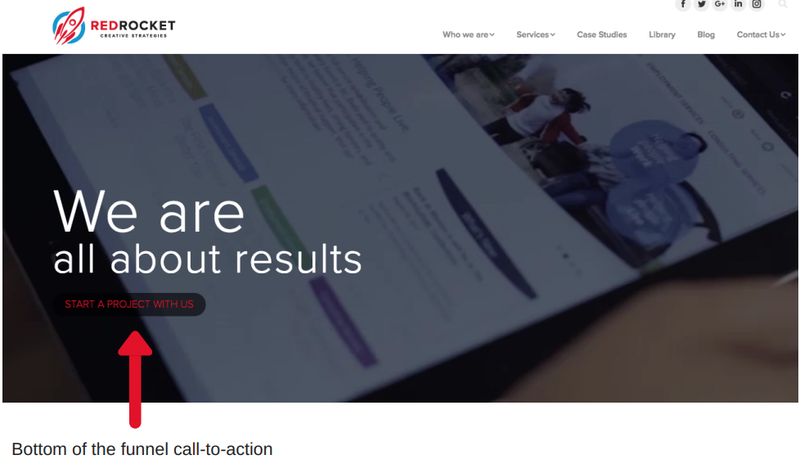 A good CRM, like Hubspot, is essential for closed loop reporting. But what exactly should you include in your reporting? Let’s dive into that now. High level metrics, like Number of Leads, MQLs, and SQLs that were generated, and the number of customers that resulted. Detailed metrics, like First Touch attribution: how a lead converted (e.g. did they convert by downloading a whitepaper? By signing up for a webinar? By opting in to the your blog subscription list?) This can tell you which pieces of content are speaking most effectively to your buyer personas. Look at your traffic sources from each channel - and which ones generate the most leads. Do most visitors who convert into leads come from organic search? This tells you you’re targeting relevant keywords, and that you website content delivers on the promise of those keywords. Do you have very few conversions from LinkedIn traffic? Perhaps your messaging on LinkedIn doesn’t align with what visitors find on your website. Knowing this can help you adjust your strategy if needed. Track how a lead moves through the funnel and becomes a customer (or doesn’t). That way, you can evaluate and make improvements. Which blogs did they read? Which gated content offers did they download? How did they interact with your emails? Examining metrics arms you with insights on how to adjust and test email subject lines, copy, and calls-to-action. That way, you can continually refine and improve your messaging for each channel, and for each buyer persona, at each stage of the journey. Closed loop reporting helps you maximize the return from your marketing budget. With metrics from closed loop reporting, you can measure your results against your SMART goals—and even use the data to set new goals. You may need to put more budget towards SEO, to improve your organic search traffic. Or perhaps you’ll want to invest in paid LinkedIn ads to boost webinar signups. You can also use the data to evaluate and fine-tune your buyer personas: what content is most popular, and what does it tell you about your buyers’ challenges and pain points? So now we’ve come to the glue that holds the whole machine together. Communication. Everyone thinks communication is intuitive but it isn’t. Effective communication needs work, and ideally, a structure to keep it going. So to really see sales shoot to the sky, your sales and marketing teams need to work from the same playbook. In many organizations sales and marketing work in silos, with separate, unaligned goals—even though both teams want to identify, attract, and close business. The performance of each team is measured differently: sales by revenue and marketing by marketing metrics. But - when both teams are aligned, marketing understands sales objectives, and deploys marketing plans to increase top-of-the-funnel leads (through a strategy like inbound marketing). The sales team provides feedback on the effectiveness of marketing campaigns. Communication is absolutely essential: sales and marketing should track, and share, their combined effectiveness in converting prospects to MQLs and SQLs. This is the measure of the success of marketing strategies, and the accuracy of the buyer personas. Ideally, marketing and sales should work day to day in the same room. The objective of frequent interaction is to help each team identify gaps in knowledge, and to understand the other side’s experiences and perspectives. Take it from us, aligning your marketing and sales teams pays off in sales growth. But while the process works, it’s not always easy to execute. Bringing in a third party partner, (like Red Rocket), is an essential piece for many businesses who are serious about improving their sales process. Now it’s over to you. Tell us what you think - what challenges or successes have you had with marketing and sales alignment? Let us know by leaving a comment below.